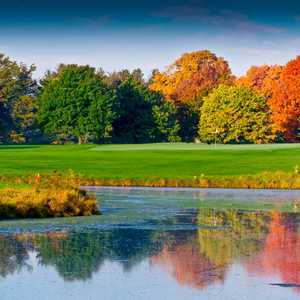 EAST LANSING, Mich. -- Forest Akers West Course, located on the Michigan State campus, has been touted as one of the finest in the state ever since 1992, when MSU graduate Arthur Hills revamped the course (originally designed in 1958 by Bruce Matthews). Forest Akers makes a great weekend getaway for those who don't want to drive to northern Michigan. 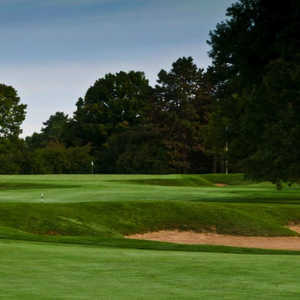 With the addition of new, tougher bunkers, redesigned greens, as well as length, the course has emerged as one of the finest layouts in central Michigan. The clubhouse and facilities, however, kept the West Course from receiving much national attention. The driving range was unimpressive, and the small clubhouse consisted of no more than a snack bar, small pro shop and locker room. The addition of the Henry Center in the fall of 2001 has changed all of this. The additions were the result of a four-way partnership between Forest Akers, Candlewood Suites hotel, the MSU Business School and the University Club. Newcomers to the site may mistake this university course for one of northern Michigan's premier golf resorts. Golf and business have blossomed into quite a relationship, which was one of the reasons the Henry Center was built on site at the golf course. It is a very attractive venue to business men from all over who would hope to squeeze in a few rounds while on the road for business. "The logistics school at MSU is one of the top schools in the country," said Course Manager Ken Horvath. "And people are sent all over the country to the training center located at the Henry Center." Designed for business training, the Henry Center has two large amphitheaters, three classrooms, a Four-Seasons lounge, an outdoor terrace overlooking the course that seats up to 100 people, boardrooms and meeting rooms, an atrium that holds more than 300 people and a fitness center and spa. The golf facilities were largely improved in 1997 after the Golf Center was built across the street at Forest Akers East Course. The 20-acre range was ranked as a top 10 new range in the U.S., but that wasn't enough. In 1999, a short-game range was built that included two greens with practice bunkers. A new clubhouse was built as well that included a new, larger pro shop, restaurant, locker rooms and snack bar. The layout itself has stayed largely the same. The one thing that will shock golfers who have played the course prior to the renovation is the change in hole numbers, a result of the new location of the clubhouse. The first hole was the original 15th hole. The tee box was raised, and some trees were knocked out. Following the original 15th, the course route follows the rest of the original back nine. The new back nine starts at the original sixth, making the 18th the original fifth hole. Clear as mud, perhaps, but a playing of the new routing should clear it up immediately. One of the major changes is obvious on the par-4 18th. Once a 322-yard birdie opportunity, the 18th is now a 422-yard muscular finishing hole with danger lurking on every shot. Once you have navigated your tee shot around a dogleg left and several fairway bunkers, an elevated green over a pond lies in waiting with some of the deepest greenside bunkers on the course. The West Course, while difficult, plays very fair according to Horvath. "Keep the course in front of you," suggested Horvath. "You can't go long over the greens. It makes your chances of getting up and down more difficult." One of the strengths of the course is its four par 5s, all unique in length and strategy. From the 592-yard, uphill second hole to the 520-yard 17th, the West offers some of the best three-shotters in Central Michigan. With the addition of these new top-notch facilities, Forest Akers could be considered a great weekend getaway for those who don't want to drive the extra three or four hours to northern Michigan. 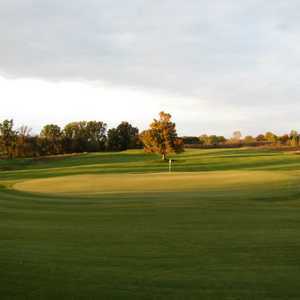 In addition to the East and West Courses a handful of other courses in the area are worth a look. And with East Lansing just minutes from Michigan's capital, there are many good restaurants and night life options as well. Forest Akers provides plenty of bang for the buck. The course puts a premium on service as well, even providing free bottled water on hot sunny days and club covers on carts in case the weather doesn't cooperate. With the addition of these facilities, Forest Akers is a great alternative to Michigan's northern golf Mecca.